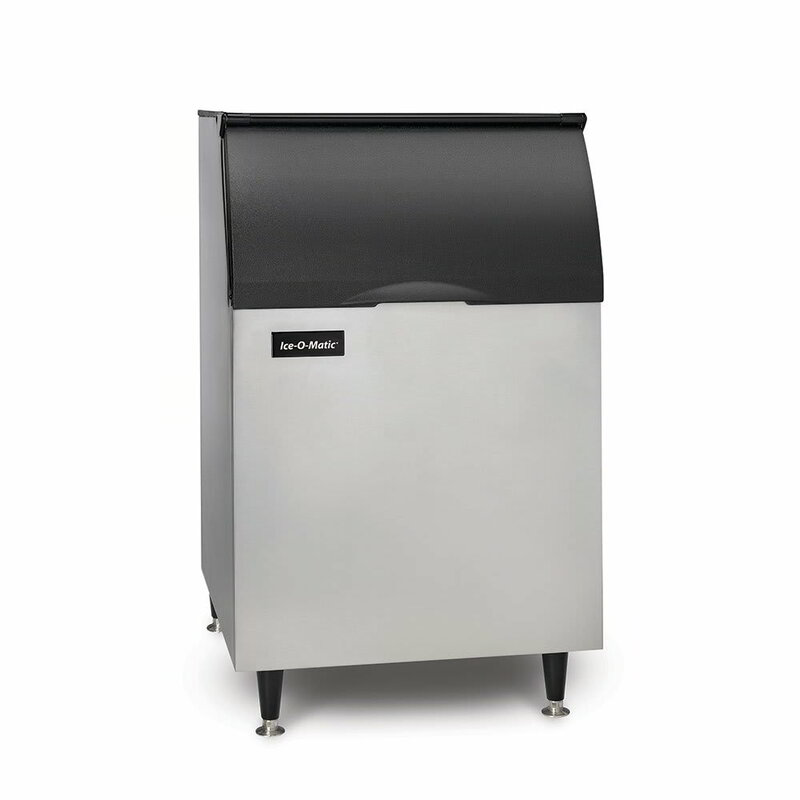 The Ice-O-Matic B55PS ice bin for top-mounted units can hold up to 510 pounds of ice to accommodate your medium-to-high volume ice storage needs. This durable ice bin is insulated with a polyethylene bin liner and foam for maximum temperature retention to keep your ice solid. Corrosion protection within the bin liner ensures your ice remains clean. 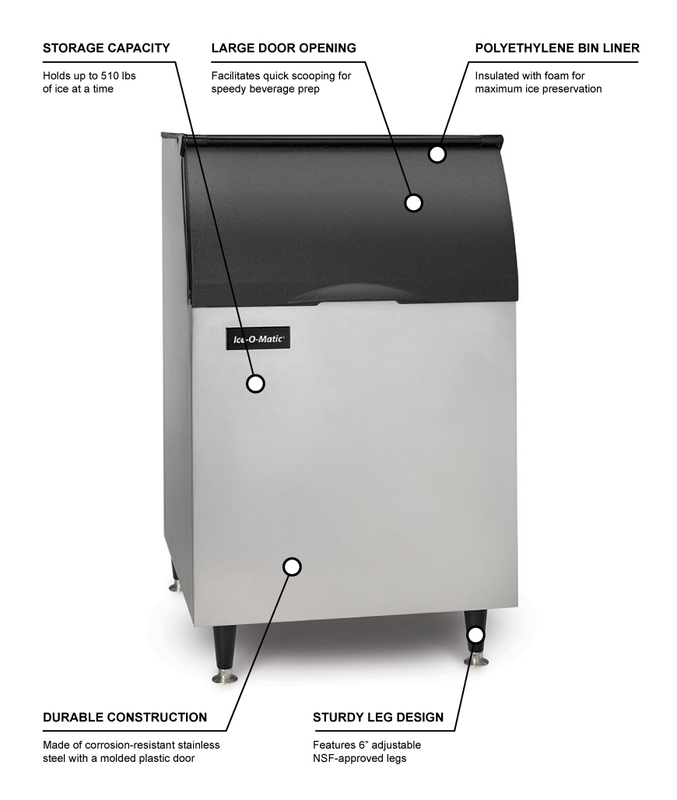 The practical, easy-access design of this ice bin makes retrieving ice simple, as the large door opening facilitates quickly scooping ice for speedy beverage prep. With a sloped front and stainless steel construction, the Ice-O-Matic B55PS ice bin's design will look great in any kitchen, and to make sure it can be seamlessly incorporated into your existing layout, the adjustable legs are 6 inches high but can be adjusted to 7 inches high. This ice storage bin can be used with 22- and 30-inch ICE Series cube ice makers and 21-inch nugget and flake ice makers, but is not compatible with 48-inch ICE Series cube ice makers and 42-inch flake ice makers. 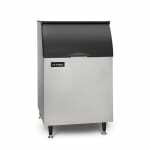 Using this bin with the 22- and 21-inch ice makers will require the KBT19 storage bin adapter kit. Legs adjustable from 6 to 7 in.